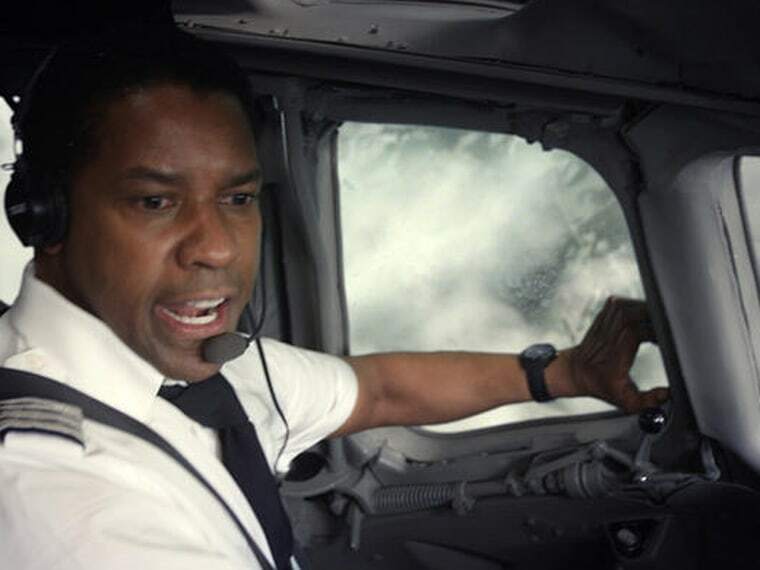 LOS ANGELES -- Denzel Washington's character in "Flight" drinks a lot throughout the film, but his portrayal of a highly functioning alcoholic pilot isn't being welcomed by brewing company Anheuser-Busch or the distributor of Stolichnaya vodka. Budweiser is hardly the only alcoholic beverage shown in "Flight," which earned $25 million in its debut weekend. Washington's character frequently drinks vodka throughout the film, with several different brands represented. William Grant & Sons, which distributes Stolichnaya in the United States, also said it didn't license its brand for inclusion in the film and wouldn't have given permission if asked. Rob McCarthy, vice president of Budweiser, wrote in a statement that the company wasn't contacted by Paramount or the production company of director Robert Zemeckis for permission to use the beer in "Flight." Experts say the film is unlikely to run afoul of trademark protections, as courts have ruled that products may be featured in films regardless of whether the companies approve, as long as they have some artistic relevance.